RIOTERS!!! Halloween is upon us! Let's go ahead and dub today Halloween Eve! (Hey, if Christmas can do it, by Goddess, so can we!) I'd like to use today's post to just get your spirit in the right place. Below is a selection of music, movies, and other bits that - I hope - get you in the mood for ghastly ghouls, scary stories, creative costumes, and alliterative allusions! Please, feel free to use the comments section at the bottom to add your own Halloween traditions, favorite movies, music suggestions, and anything else to share with the Riot community! Oh... And get ready, because I'll be working into the wee hours of the night to put the finishing touches on the Riot's 3rd annual Samhain Special, which should end up in your pod feeds early in the morning. Speaking of 3rd annual.... I'd like to take a quick moment and say THANK YOU!!! I've completely let my podiversary pass me by. October 27, 2009 saw the release of a new podcast in the pagan podioverse. At the time it had 0 subscribers, and it was sort of a rip off of bigger and better shows that have long since gone, and some that are still alive and kicking (Hi Mojo and Sparrow!). My influences were obvious, but my message was, at times, muddled. It took me a while to find my voice, to find my Riot. But, hundreds of thousands of downloads, a worldwide audience spanning countries in all continents (except Antarctica...COME ON PENGUINS!!! ), and a spin-off/joint podcast later, here we stand. 3 years later, Inciting A Riot: the Podcast is a show on just about everyone's list of Top 10 Pagan Podcasts. It is typically found in the What's Hot section of iTunes: Other Religions (years after it has a right to be), and still pops up in the top 10 from time to time. The Riot has allowed me to spread a message of tolerance with Project Pagan Enough; I've been a part of the Pagan Podkin Supermoot; I've taught classes, interviewed amazing folks, been interviewed myself, and I get emails every day from people all around the world letting me know they've grabbed a pitchfork and decided to choose their path for themselves, rather than letting dogma and precedent decide for them. I didn't intend to get all emotional about this, but thinking of how much my life has changed, and how much you all have influenced me brings a tear to my eye. I can honestly say that I would not have found my circle of friends here in Chicago had it not been for the Riot. I would not have found a community in which I truly feel I can belong, and that truly challenges me out of love and a mutual desire to learn and better ourselves. I would not, in short, be who I am today without every single last one of you. So, for that, I thank you. From the heart of my bottom. There are a few movies that I just adore at Halloween. Okay, there are dozens that I end up watching, but a few that I'd like to recommend. Hellbent is a gay slasher movie. It's just about as good as any of the Halloween or Freddie films, better than some, actually. There are parts that are truly jump worthy. It's gay in the sense that you won't find a bunch of half naked sorority girls running from a guy with a machete. Instead, you'll find shirtless hunks running away from a leather daddy with a sickle. Same same. Honestly, though, it's a ton of fun, and I've yet to find a straight slasher fan that didn't enjoy it. Believe it or not, I know quite a lot of people who have NEVER SEEN THIS MOVIE! Like putting pineapple ice cream on apple pie or talking smack about your mom, that's just un-American. Seriously, it's all over the Disney channel. Netflix. I'm sure YouTube even has it in full at this point. Google it. For parents of young kids, or adults who are kids at heart, this treasure of Hayao Miyazaki is a classic. The main character is a little witch out on her own to learn her craft. It's setting is not during Halloween, but she's a witch in a black dress and has a talking cat. What more do you want? I recommend watching this while cooking breakfast on Saint's Day/Day of the Dead/the Morning After. The first movie in this series is still the best. For such a low budget, the effects look very real, and the story is just creepy enough that it still sends shivers down my spine. If you haven't seen this movie, do it. If you have seen this movie, you know you'll want to watch it in a group with the lights on and a bundle of sage at the ready. This is by no means a comprehensive list. There are some very obvious films left out here. Nightmare Before Christmas, Corpse Bride...really anything by Tim Burton. I've put them on numerous lists in the past and didn't feel they needed repeating on this one. Needless to say, anything by Tim Burton applies as well. I Put A Spell On You - I enjoy the version done most recently by Joss Stone and Jeff Beck on the album Emotion & Commotion. Haunting vocals on an impeccable music track. This is Halloween - Nightmare Before Christmas soundtrack. Classic. There is a Marilyn Manson version...not a fan. These Old Bones - Dolly Parton from her album The Acoustic Collection 1999-2002. I originally heard this on Velma's Halloween megashow and weep every time I hear it. Wytches' Brew - OMNIA from their album World of OMNIA. LOVE. THIS. SONG. It's actually also on my work out mix. I Put A Spell On You - Bette Midler's version from Hocus Pocus. It's not sold anywhere. I don't know why. But, if you're less than scrupulous, I'm sure you can find a way to get a copy. Ancestor's Song - Kellianna from her album I Walk With The Goddess. Mushroom Song - Tricky Pixie from their album Mythcreants. Share YOUR Halloween playlists in the comments below! There are just a couple of books I'd recommend for this time of year. I don't know how long this offer is good, but if you head over to Audible.com RIGHT NOW Neil Gaiman is giving away an audiobook called Click-Clack the Rattlebag. It's a scary Gaiman story just in time for Halloween. What more do you need to know other than: Neil Gaiman, free, Halloween... Get it! This book is a fantastic addition to your library, whether you have kids or not. 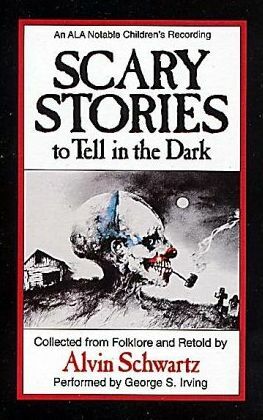 I'll tell you, there are stories in here that will scare the bejeezus out of youngsters. Though, if told in the right tone, they still scare adults, too. Included are some humorous tales and a few songs to sing. It's a must have for this time of year. Sabbats by Edain McCoy is a quality book for any part of the wheel of the year. There are recipes, stories, and tons and tons of folklore for every sabbat. It will be a good investment, though inexpensive, and is still carried at every bookstore out there. If you have access to a Half Price Books, chances are you can find this on a shelf for around $5 or less. 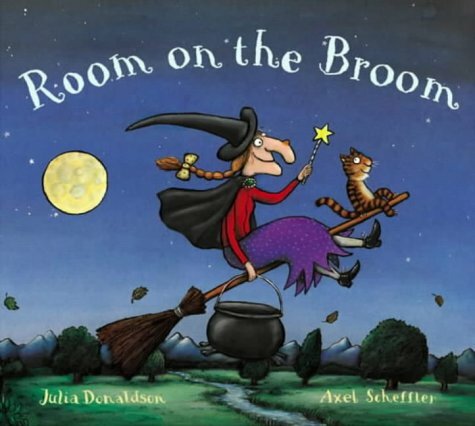 If you've been to Target lately, you've seen Room on the Broom by Julia Donaldson. Every kid needs a good, clean starter book to Halloween. While few of the children's Halloween books that I grew up with are still around, this new addition to that genre is a delight. If you have kids, or just want to revisit childhood, this is a fun one to grab. That's all I have for you, Rioters! Remember, add your Halloween additions to the comments section to share with the Riot community! Thank you for three magical, fantastical, Riotous years on the podcast interwebs! A great scary movie for Halloween is The Haunting made in 1963 with Julie Harris. Phenomenal flick and truly bone chilling. Blessed Be and Happy Hallowmas! Room on the Broom is my daughter's favourite story! I know it off by heart... and have been known to recite it over and over again when she's bored if we have to wait somewhere. I once had an audience of about ten kids in the waiting room at the doctor's all listening to me! For anyone with Witchlets, I highly recommend Circle Round by Starhawk et al as a good book about Sabbats and other life-markers. Just change the .co.uk for .com to get to the Amazon US link. Lovely! Thanks for the tip on the Gaiman audiobook, too! My son (3) and I enjoy "The Little Old Lady Who Was Not Afraid of Anything," by Linda Williams & Megan Lloyd as a fun Halloween-y story (it begins with her going into the forest to gather "herbs & spices, nuts & seeds." Some other favorite spooky books: Frankenstein (Mary Shelley), Dracula (Bram Stoker), The Haunting of Hill House(Shirley Jackson), The Witches (Roald Dahl), The Gashleycrumb Tinies (Edward Gorey), the Series of Unfortunate Events books (Lemony Snicket), Legend of Sleepyhollow (Washington Irving), Something Wicked this Way Comes (Ray Bradbury), Flowers of Evil (Baudelaire), The Collected Works of Edgar Allen Poe, any of the "Witch" poems by Robert Frost (also witch poems by Anne Sexton and Edna St. Vincent-Millay), The Collected Works of HP Lovecraft, Gothic Tales (Isak Dennison), and of course the Misanthrope Collections "Children of the Moon," "A Rustle of Dark Leaves," and "Etched Offerings." Thanks for the seasonal suggestions! One of my favorite traditions for Halloween is listening to Orson Welles' Mercury Theater broadcast of "The War of the Worlds," based on the novel by H.G. Wells. The lights are turned off, the CD is popped into the player, and I usually have a cup of hot cider while I listen. How do you not have Kristen Lawrence here?!? You must have Kristen Lawrence for Halloween. Her website is Halloweencarols.com, for crying out loud. Most, if not all, of her music can be heard on her youtube channel. If you play nothing else of hers you MUST have Souling Song (Samhain version). I think I first heard it on Pagan FM years ago, and now I listen to it all year round. It's just such perfection. A spooky, happy, ghostly, joyful march. I always want to go Halloween caroling with a bunch of kids in masks singing that song up and down the street. Also on my playlist this year: Charlotte Church's How Not to Be Surprised When You're a Ghost. ^__^ Thanks for that one. I don't share most of your music taste, but I have been obsessed with that EP since it came out. I picked up a goofy little CD at Dollar Tree that is a satire of a radio show with all sorts of iconic Halloween characters doing songs, interviews, commercials a la Prairie Home Companion...and it's been a keeper for the last few years. I also discovered a Mannheim Steamroller Halloween CD that puts Chip Davis' special twist on classics like Night on Bald Mountain and Ride of the Valkyries. It's a double album, the second disc are sound effects which you can synch to the music. I love anything old fashioned Halloween! Oh and Scary Godmother by Jill Thompson. The first two books were made into Halloween Specials. I love her tights and toutou. Congrads on your podaversary! You are a favourite!